Fall. 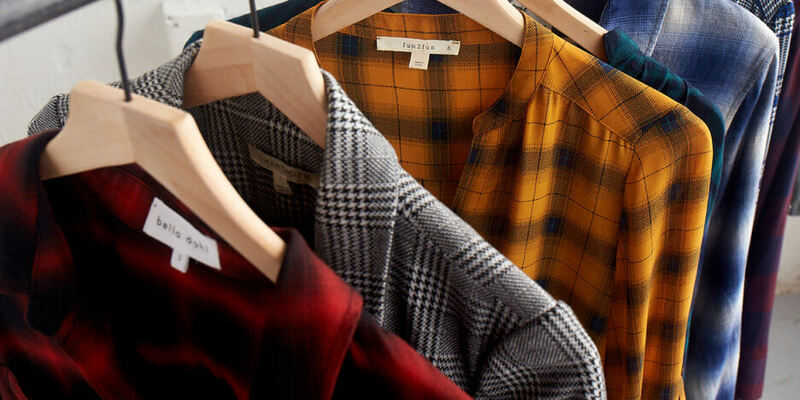 Along with seasonal favorites like crispy leaves, cooler weather and pumpkin spiced everything, fall really gives us some serious back-to-school vibes, which in turn, make us think: PLAID—the fall print of choice. See how we’re pairing all of our plaid favorites! Not sure how to coordinate your plaid with other pieces in your wardrobe? 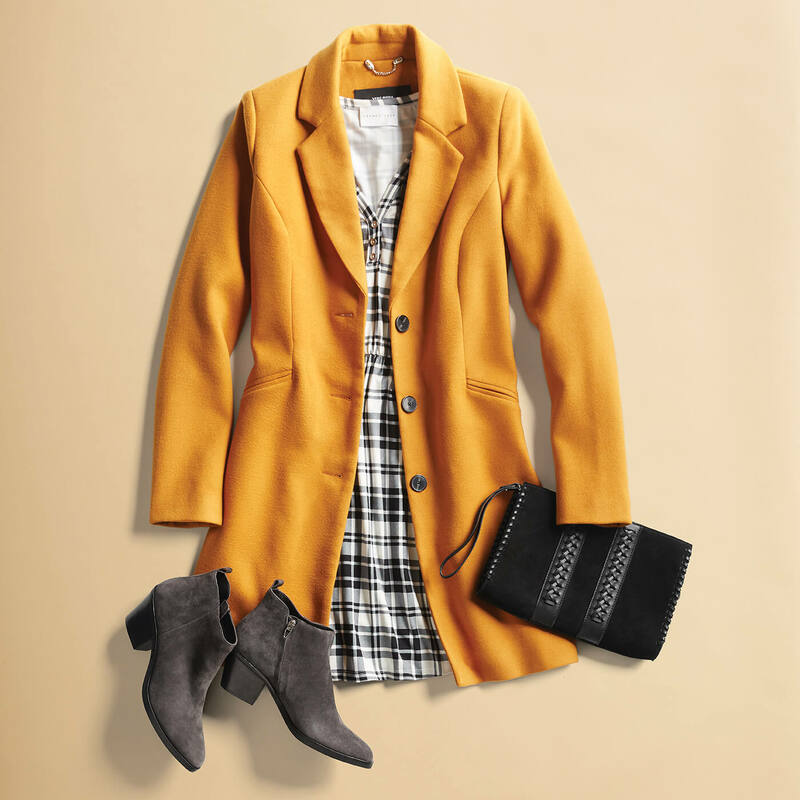 Start with a piece in black and white and add a pop of fall color, in this case, a gorgeous goldenrod lady coat. We love the casual look of gray booties and a black clutch here, but this adorable dress would look just as good with, say, a mulberry moto jacket and black boots. Dark denim is definitely a fall wardrobe staple, and pairing it with a plaid shirt is a no-brainer. But, plot twist: this denim and plaid look relies on a top that’s much dressier than your average grunge-style flannel (not that there’s anything wrong with that!). 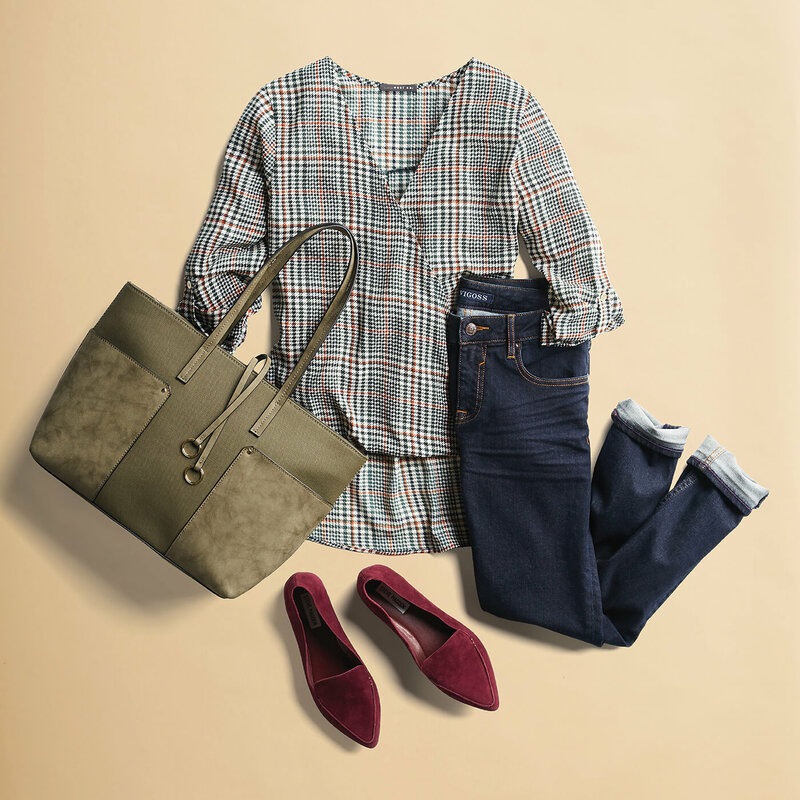 The result, when paired with an olive tote and luscious cranberry flats, is an outfit that will take you a lot further than the corner coffee shop. Glen plaid is characterized by its web of broken checks in alternating stripes crossing each other to create smaller and larger checks, and it’s a staple in menswear. 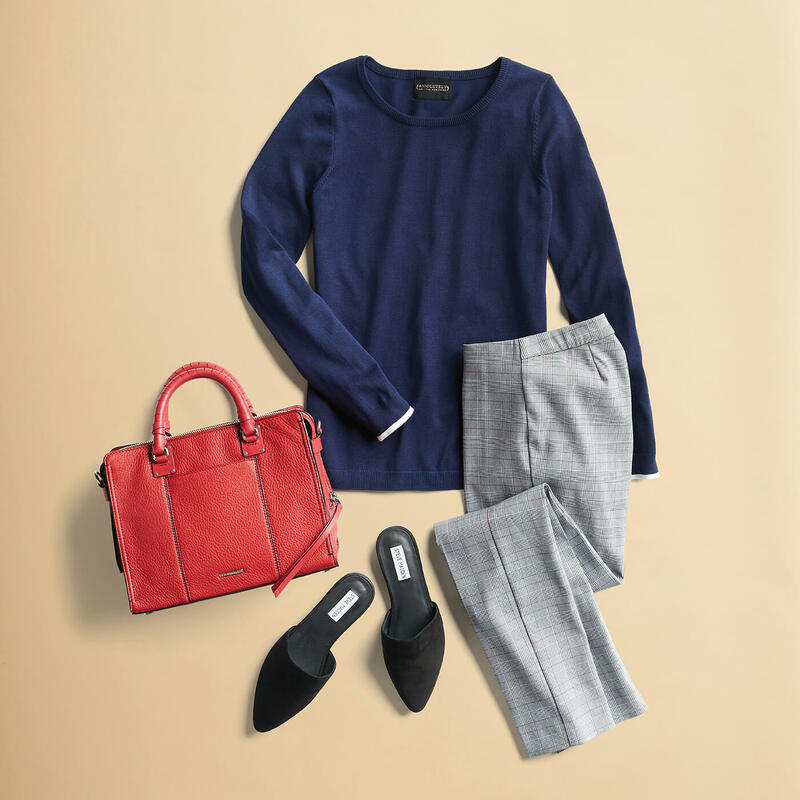 Done in an elegant pale gray, glen plaid pants paired with a navy pullover and cherry red top handle bag are office or errand perfect, don’t you think? Add a pair of slides, and you’ve got yourself a very versatile look. Plaid and skirts go together like cookies and milk—and this particular skirt, with its subtle navy and olive pattern almost works as a solid when paired with a graphic maroon and gray sweater. This is advanced plaid styling! Pull the whole look together with booties and a crossbody bag in neutral tones. 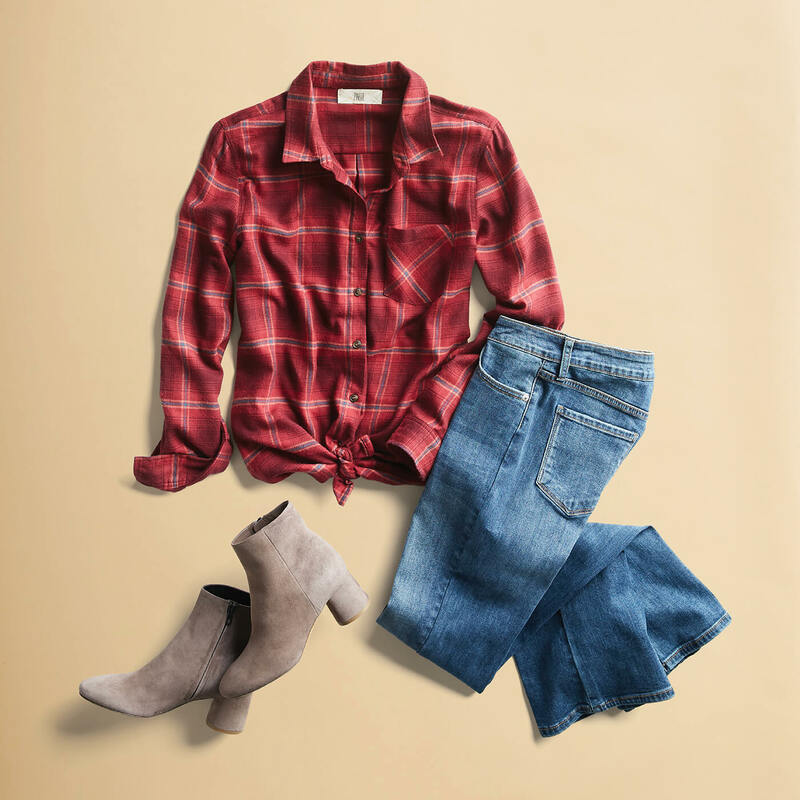 A comfy, faded pair of jeans and a soft plaid shirt in a warm shade of red…this is an outfit made for downtime. For an uber-casual Saturday, feel free to wear this look with your favorite pair of sneakers—change to a heeled bootie in sophisticated taupe to take you into the evening. Dinner and a movie, anyone? Plaid has long been the pattern of casual pieces—flannels, kilts and the like. But what happens when you make a body skimming sleeveless sheath dress out of a tartan plaid? Fall fashion magic. Topped with a black blazer and paired with matching accessories, this look is a Monday through Friday win. Paired with a cashmere cardigan and sparkly shoes, your plaid sheath is ready for date night. We hope this guide gives you some ideas for having a mad, plaid fall. Get started on your adventure by scheduling a Fix and requesting some plaid pieces of your own.